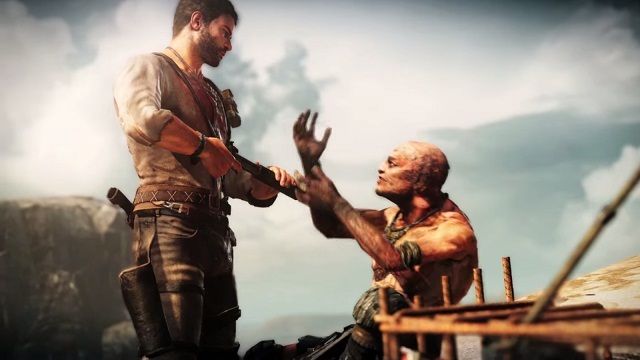 In Mad Max, your (anti) hero Max starts as a poor man who was robbed by bandits and beaten badly. But Max does not have such a miserable victims remain because you can pimp the Road Warrior tidy during his vendetta. Mad Max: Upgrades - scrap and tokens! You can pimp Max in two different ways. Firstly, his free upgradeable equipment and all the crazy Max stuff. For example, Max brass knuckles for more damage in melee or more ammunition for his shotgun. For such upgrades he needs Scrap. Furthermore, you can still teach an old dog new trick… like Max. For this purpose he needs help. Namely, a spiritual mystic Griffa who is always somewhere near. In return after completion of challenges he gets "Griffa tokens," which can be used to increase his maximum health. Head Change the appearance of Max.